Home / Scottish Brick and Tile Industry / Restalrig and Leith, Edinburgh – Unnamed Brick Works. Restalrig and Leith, Edinburgh – Unnamed Brick Works. 15/05/1775 – Caledonian Mercury – To be let and entered to at Martinmas first. 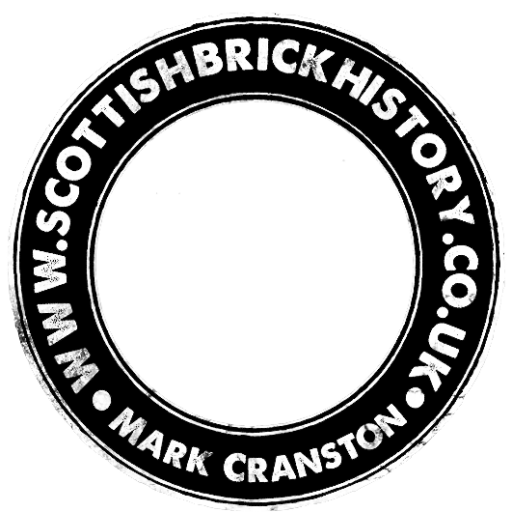 A brick manufacture that belonged to the late Mr John Innes, bricklayer and now possessed by Deacon Jamieson, mason in Edinburgh, well known for fine hard brick for for shipping or outside work. There are four acres of ground and stables, barn and dove-cote lying on the road between Restalrig and Leith. For particulars apply to Mrs Innes, Quality Street, Leith or Mr James Greig, writer, Edinburgh. 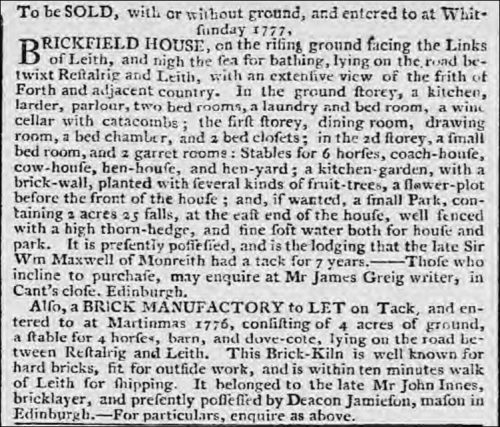 24/07/1776 – Caledonian Mercury – Brick manufactory to let on tack and entered into at Martinmas 1776 and consisting of 4 acres of ground, a stable for 4 horses, a barn, a dove cote, lying in the road between Restalrig and Leith. This brick kiln is well known for its hard bricks, fit for outside work and is within ten minutes walk of Leith for shipping. It belonged to the late Mr John Innes, mason in Edinburgh and presently occupied by Deacon Jamieson, mason in Edinburgh. 10/01/1882 – Banffshire Journal – The gale which occurred on Friday last did considerable damage to property in the Southern districts of Scotland. At Leith, a chimney stalk at the brickworks of Messrs Field and Allan, Restalrig Road, fell causing the death of a man named Peter Smith. Could these Works be on the site later known as Hawkhill Brick Works?